No one on the planet has yet cracked the Life puzzle. 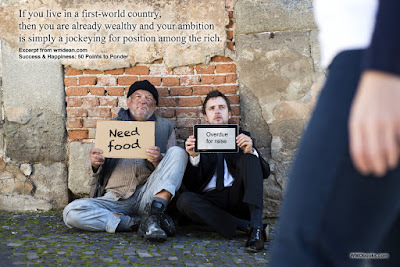 We are all struggling in some way and there is no single "right way" to live. However, being chronically unhappy has got to be a wrong way. There are people in my life who seem to have missed the happiness boat. The people I am thinking of have put in great effort to "make the grade," and yet, seem plagued by bad luck and are passed up for opportunities at every juncture. And, they have some other things in common—they are very intelligent, have their eyes fixed on social status and material goods, have a lot of expectations regarding the path that will lead them to these things, and they have a generally negative outlook. These are good people and it's frustrating to watch them struggle, but I have come to the realization that I do not have the power to help them, beyond being supportive. If I were rich and powerful, I could pay their way forward, but this would rob them of challenges and victories, ultimately weakening them. Because it's easier to spot problems when they are not your own, I have shared some of my relevant observations but found that me targeting specifics really doesn't work. Life is complicated. People are complicated. The target is fuzzy because there is no single cause or effect. And realizations do not come from a single relevant thought, but through a long chain of connected ideas. As well, I am especially wary of being critical without also being constructive. 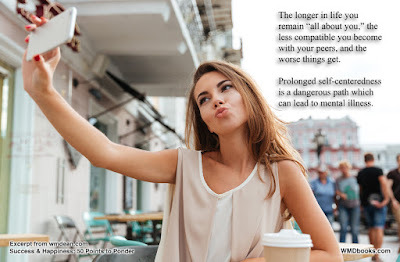 Most of us share similar shortcomings and frustrations, to a greater or lesser degree, and so a lot of the thoughts and observations I have formed while examining my own life. 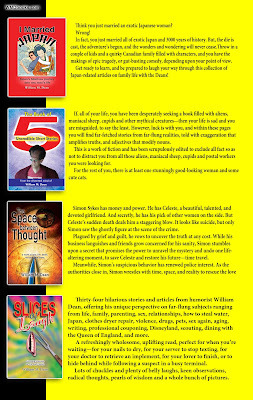 I may not be able to help my friends, but on the off chance that someone else needs to hear what I have to say, I present a list of 50 observations regarding life, humans, society, material success and mental health. 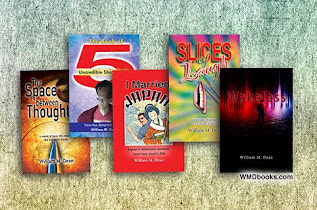 Somewhere among all of this, you may find some food for thought and, if luck is with you, perhaps something that nudges you closer to happiness. Please note that none of these are meant to be critical, or as advice to anyone going through a mental health crisis. And, they are very compressed. If I chose to unpack them, that act would generate an entire book. 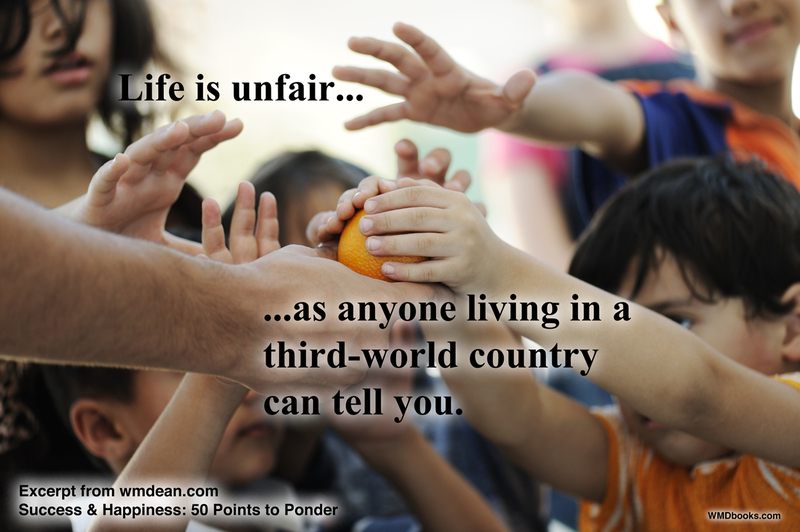 These are, simply, points to ponder, meant to prompt constructive thoughts. 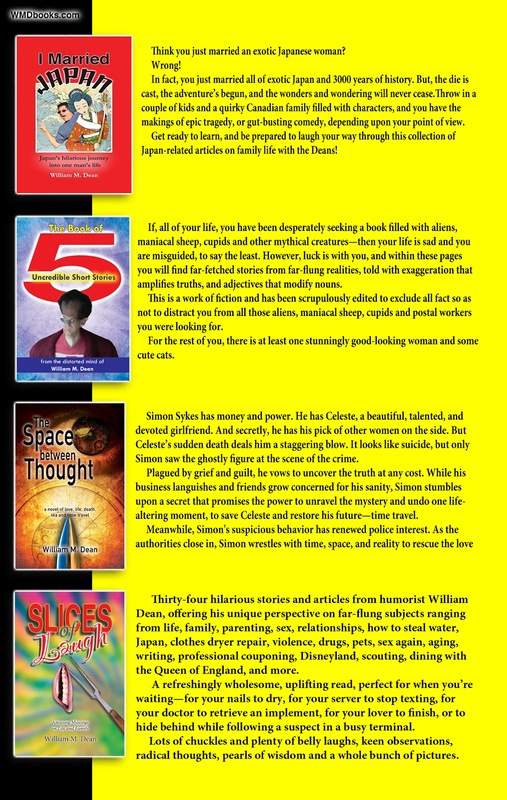 I have copied them onto "ponder point postcards," suitable for sharing on social media. Below that, I have included the raw text containing the same information (but broken into categories) for those who'd like to cut and paste into another format. (1) If you live in a first-world country, then you are already wealthy and your ambition is simply a jockeying for position among the rich. 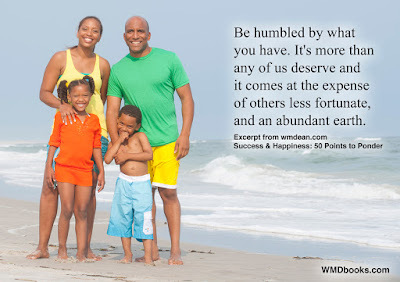 (2) Be humbled by what you have. 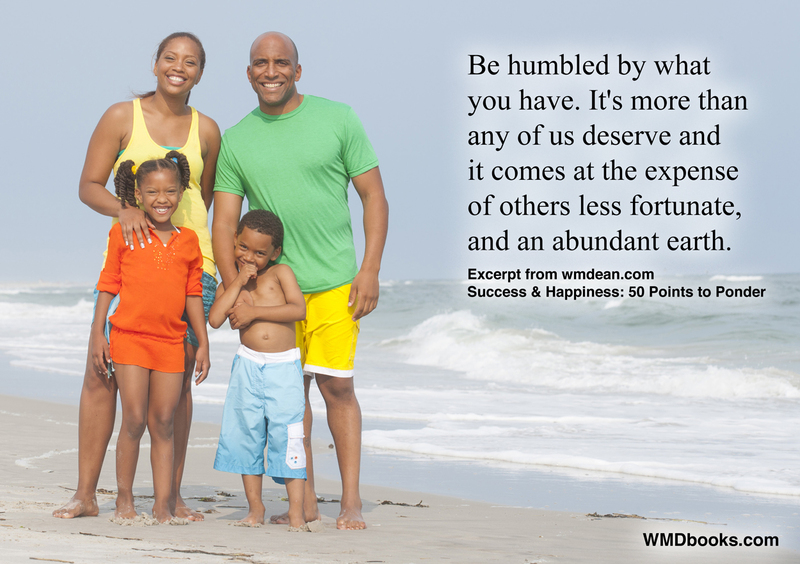 It's more than any of us deserve and it comes at the expense of others less fortunate, and an abundant earth. 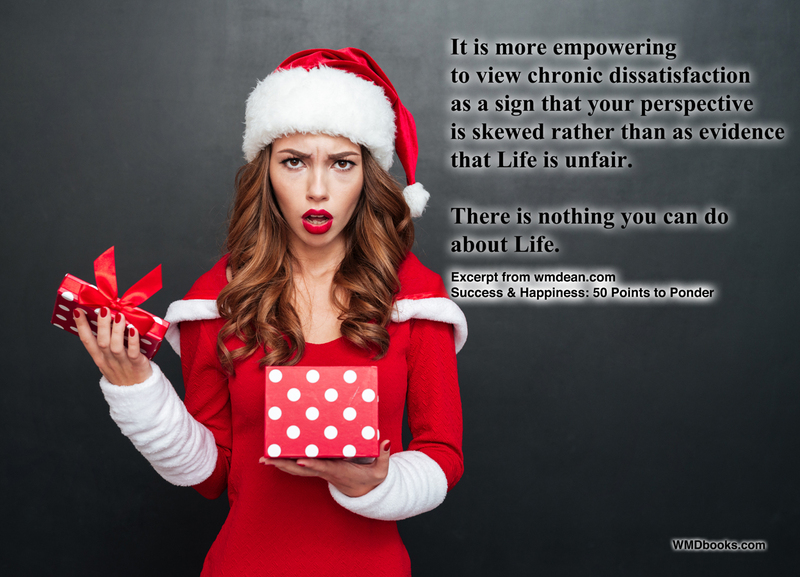 (3) It is more empowering to view chronic dissatisfaction as a sign that your perspective is skewed rather than as evidence that Life is unfair. There is nothing you can do about Life. (4) Life is unfair—in your favor, as anyone living in a third-world country can tell you. (5) Appreciate the moment. As bad as things may seem, it could always be worse. 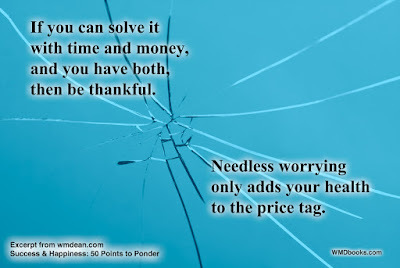 (6) If you can solve it with time and money, and you have both, then be thankful. 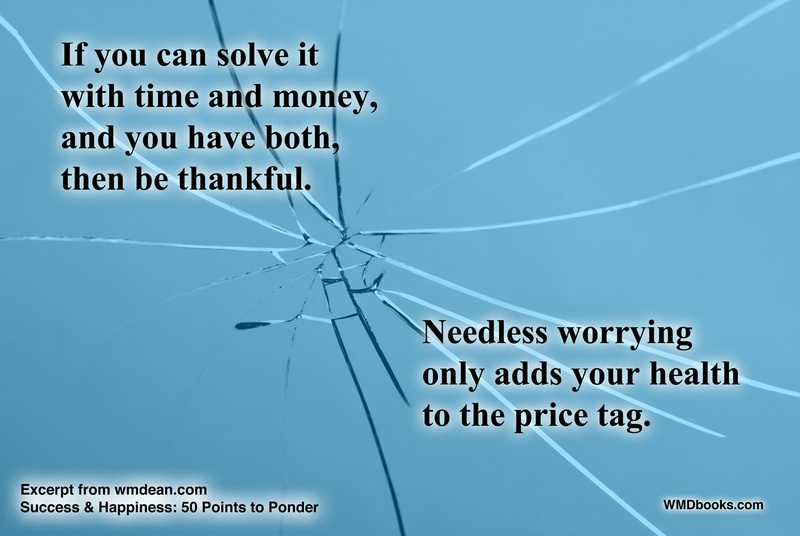 Needless worrying only adds your health to the price tag. (7) Life takes unexpected turns. 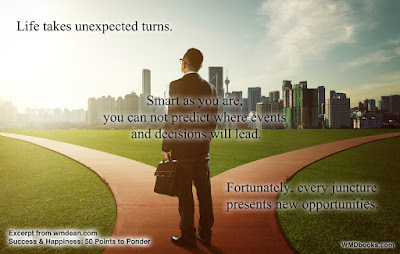 Smart as you are, you can not predict where events and decisions will lead. Fortunately, every juncture presents new opportunities. 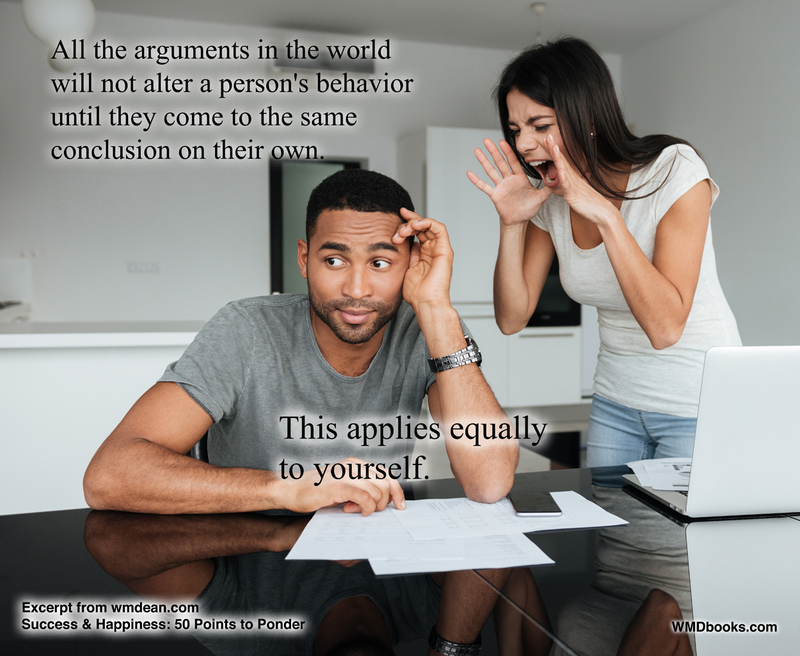 (8) All the arguments in the world will not alter a person's behavior until they come to the same conclusion on their own. This applies equally to yourself. (9) Balance: If you are never still, your mind suffers. 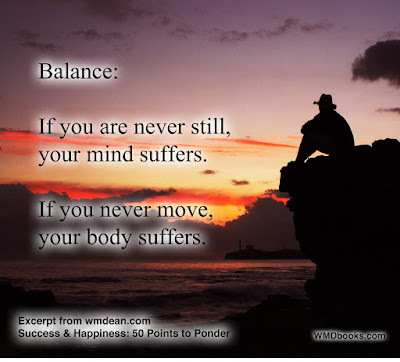 If you never move, your body suffers. 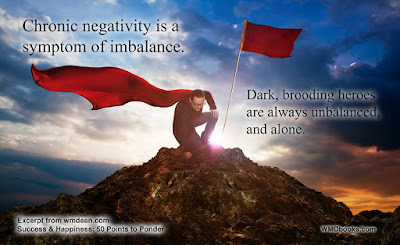 (10) Chronic negativity is a symptom of imbalance. Dark, brooding heroes are always unbalanced, and alone. (11) Positive, enthusiastic people are perceived as balanced and fun and are offered the most opportunities. (12) An emotional declaration of beliefs is a catalyst for an argument. It shuts down communication. Many who disagree with you may hold their tongues because they really don't care enough to have a knock-down, drag-out battle over the issue. 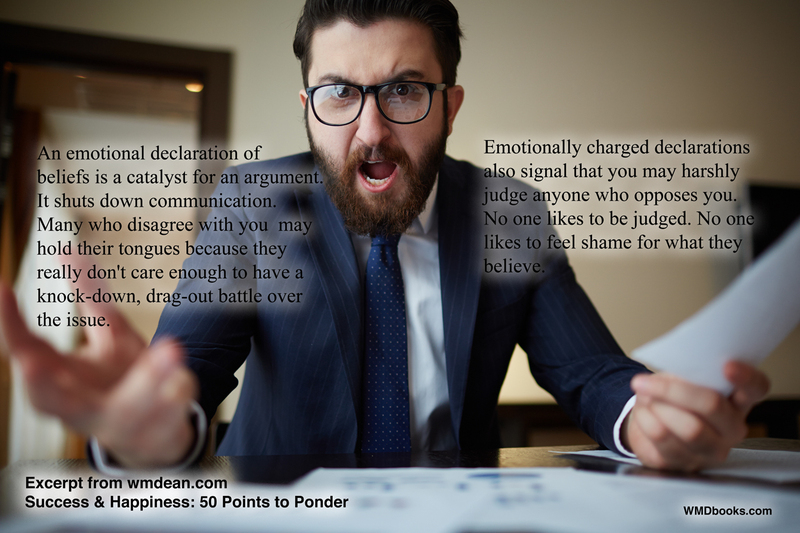 Emotionally charged declarations also signal that you may harshly judge anyone who opposes you. No one likes to be judged. No one likes to feel shame for what they believe. (13) When people suspect they may be shamed for their opinions, they are reluctant to share them. Thus, in an emotionally-charged setting, a lack of opposition is not a clear sign of agreement. 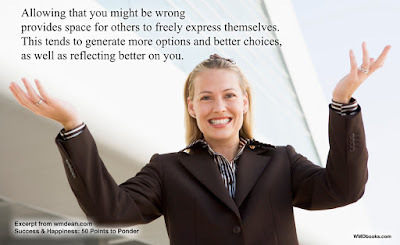 (14) Allowing that you might be wrong provides space for others to freely express themselves. 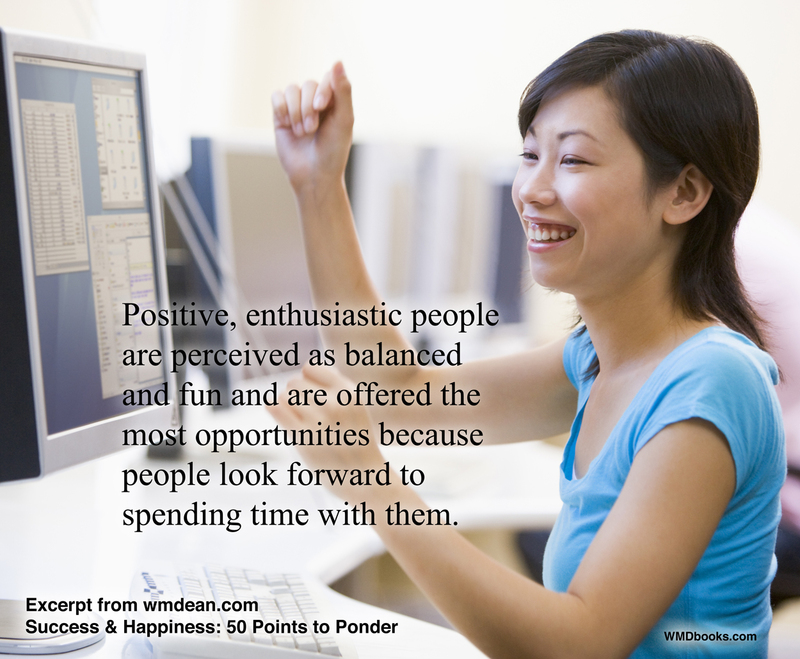 This tends to generate more options and better choices, as well as reflecting better on you. 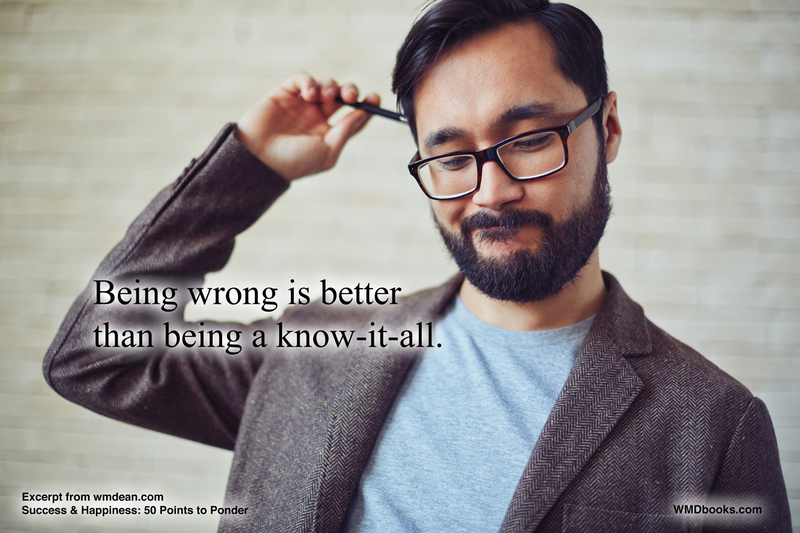 (15) Being wrong is better than being a know-it-all. (16) As I understand it, God is all about your spiritual self and has no interest in earthly, material things. 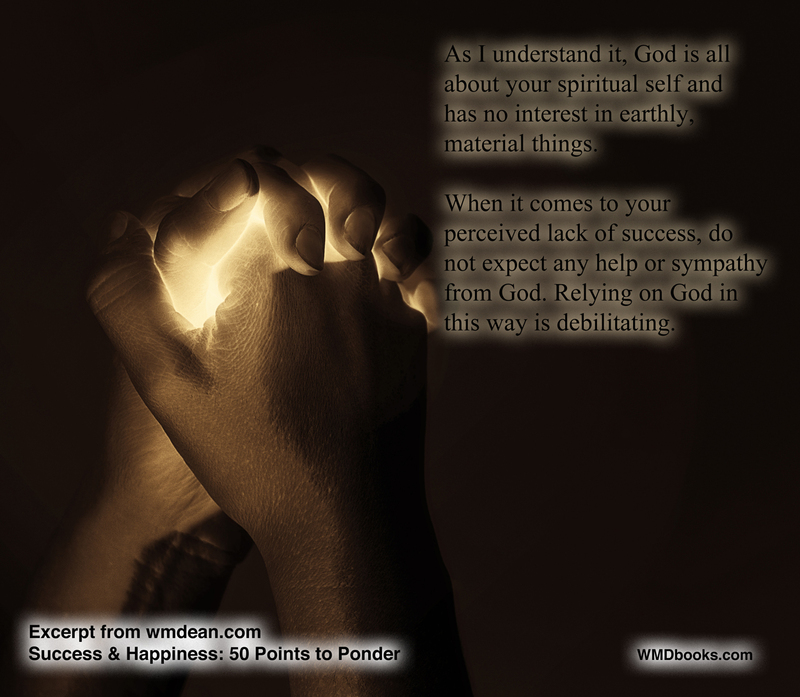 When it comes to your perceived lack of success, do not expect any help or sympathy from God. Relying on God in this way is debilitating. (17) Society is less a meritocracy than a popularity contest. 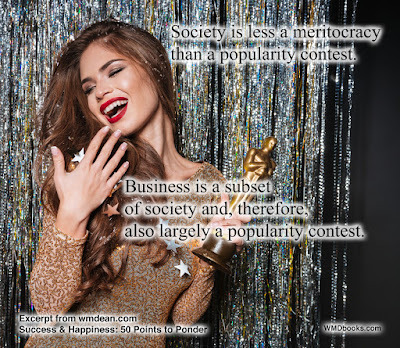 Business is a subset of society and, therefore, also a popularity contest. (18) Society is all about getting along. It is not focused on right answers. 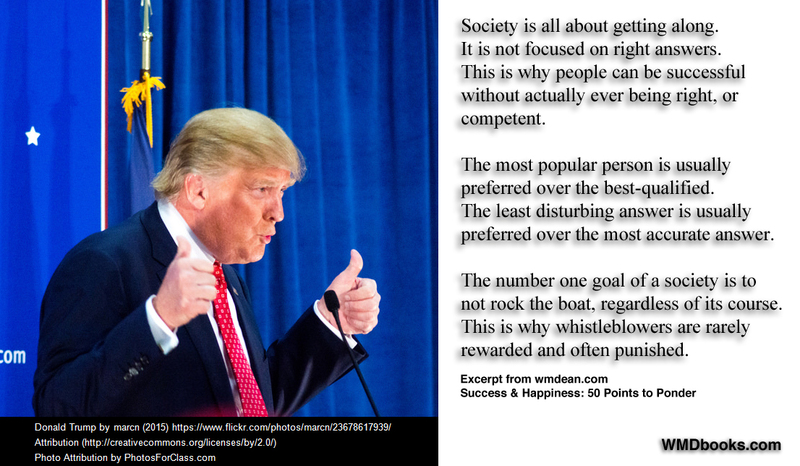 This is why people can be successful without actually ever being right, or competent. The most popular person is usually preferred over the best-qualified. The least disturbing answer is usually preferred over the most accurate answer. 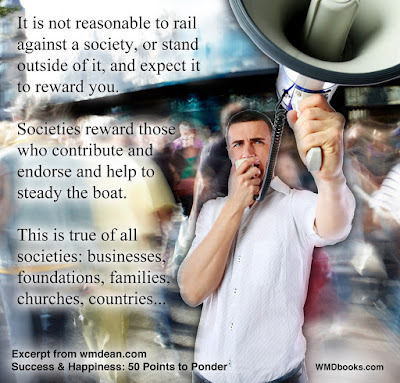 The number one goal of a society is to not rock the boat, regardless of its course. This is why whistleblowers are rarely rewarded and often punished. 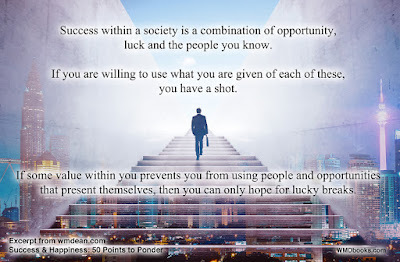 (20) Success within a society is a combination of opportunity, luck and the people you know. If you are willing to use what you are given of each of these, you have a shot. 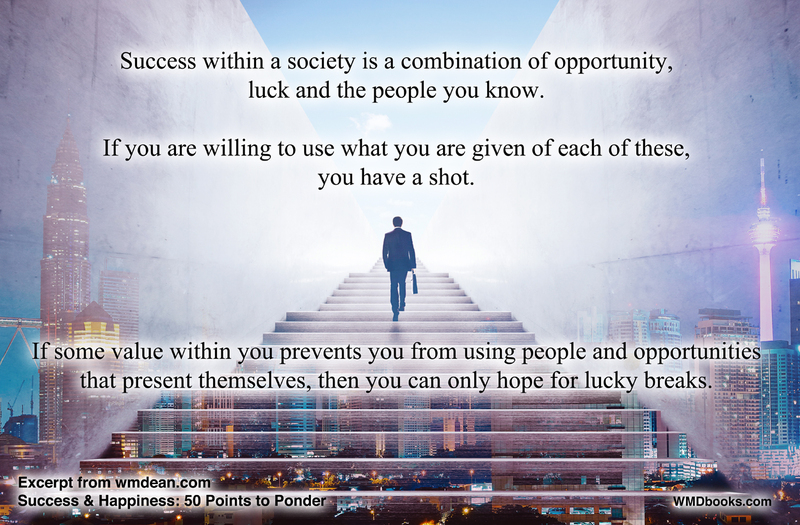 If some value within you prevents you from using people and opportunities that present themselves, then you can only hope for lucky breaks. (21) Success in business usually involves health and lifestyle compromises that most of us are unwilling to make. 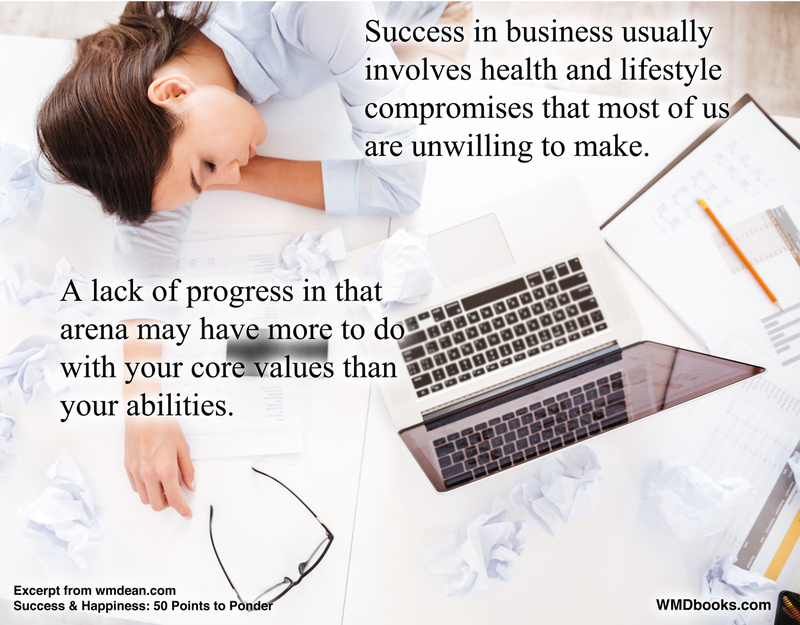 A lack of progress in that arena may have more to do with your core values than your abilities. (22) What is traditionally considered to be success might not be a rewarding goal for you. There is absolutely no shame in this. 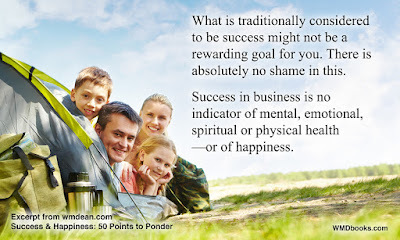 Success in business is no indicator of mental, emotional, spiritual or physical health—or of happiness. 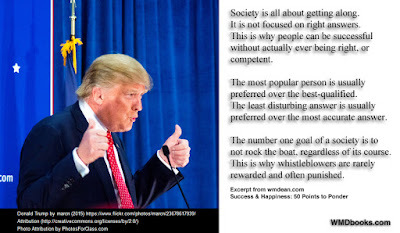 (23) Sheer genius can be a short cut to success. But, genius is obsessive, compulsive, greedy and unbalanced. 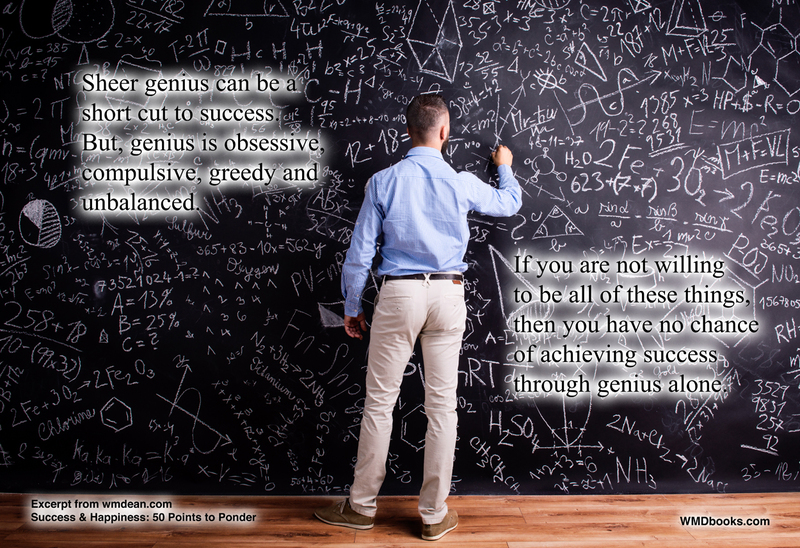 If you are not willing to be all of these things, then you have no chance of achieving success through genius alone. 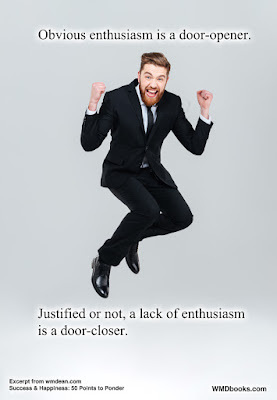 (24) Obvious enthusiasm is a door-opener. 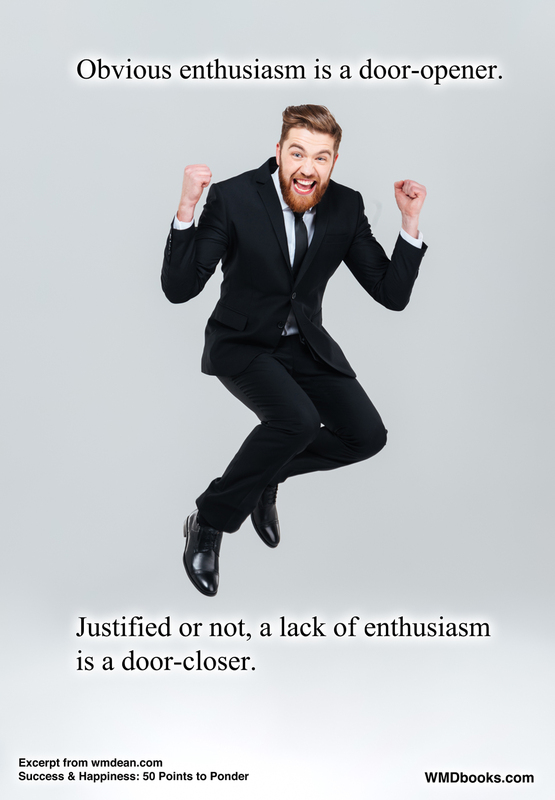 Justified or not, a lack of enthusiasm is a door-closer. (25) If you must point out problems, then be armed with solutions to combat the negativity. 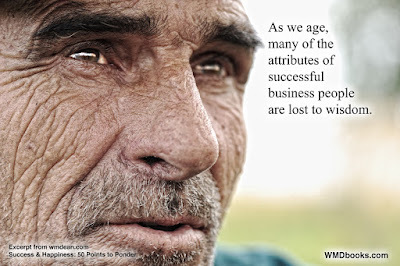 (26) As we age, many of the attributes of successful business people are lost to wisdom. 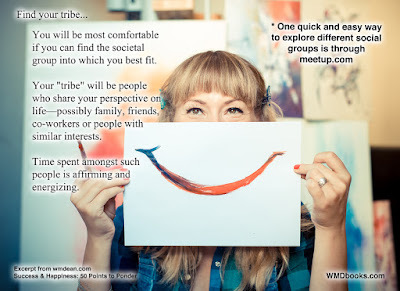 (27) Most of us want the respect and admiration of our peers. Social status is commonly considered an undeniable sign of success. 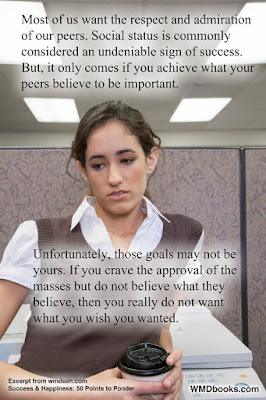 But, it only comes if you achieve what your peers believe to be important. Unfortunately, those goals may not be yours. If you crave the approval of the masses but do not believe what they believe, then you really do not want what you wish you wanted. 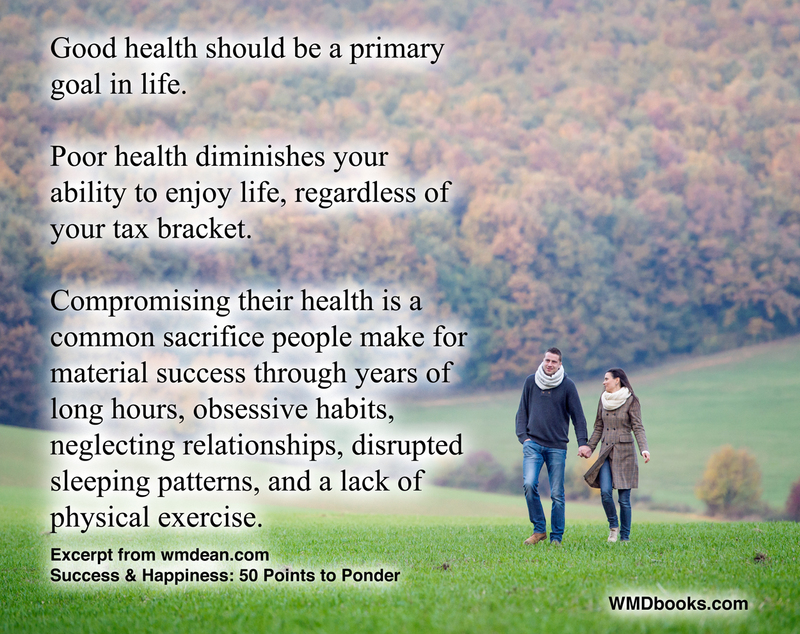 neglecting relationships, disrupted sleeping patterns, and a lack of physical exercise. 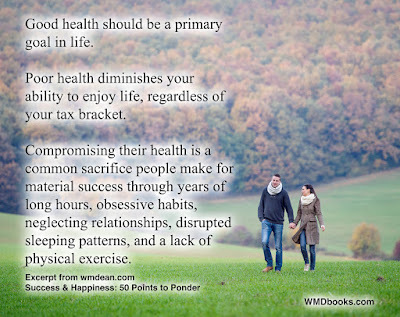 (29) After health, happiness is the only meaningful goal. Happiness is the emotional by-product of appreciating what you have. (30) Happiness is the only true measure of success; not social status, not wealth, not beauty. 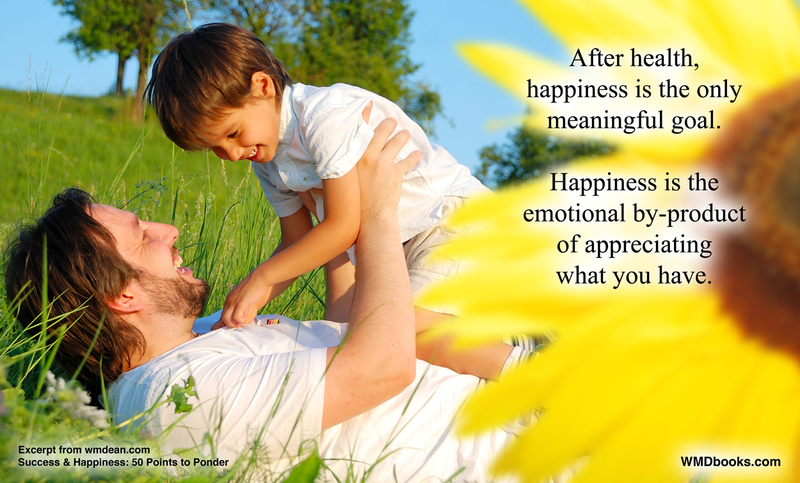 Without happiness, none of those things matter. Many people achieve success in business, social status and material things. 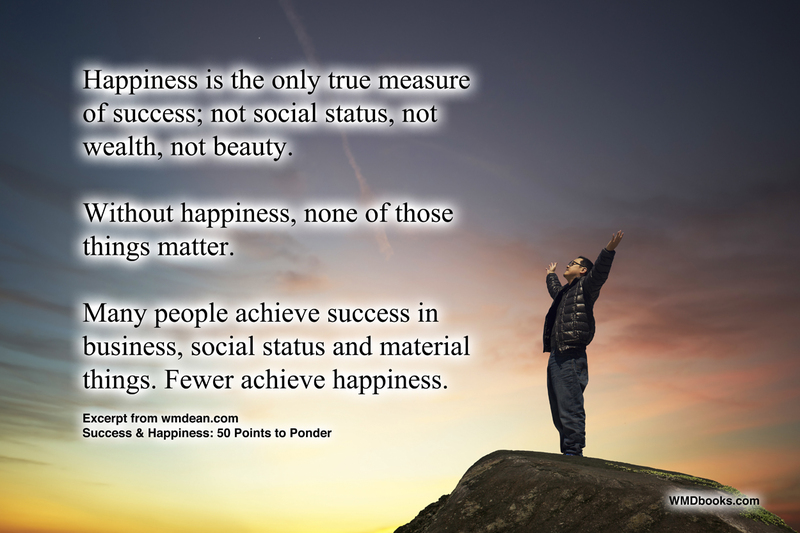 Fewer achieve happiness. 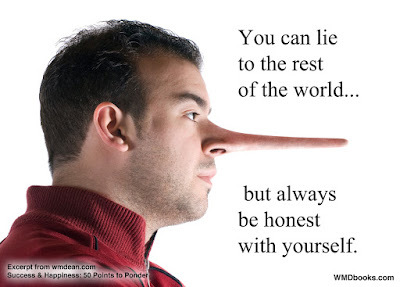 (31) You can lie to the rest of the world, but always be honest with yourself. 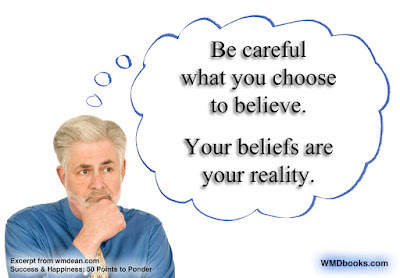 (32) Be careful what you choose to believe. 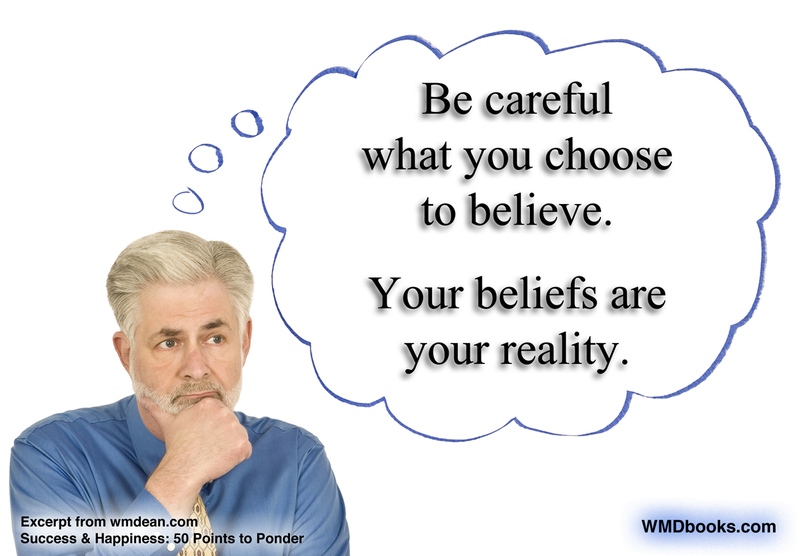 Your beliefs are your reality. 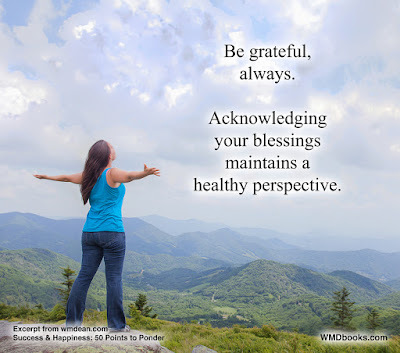 (33) Be grateful, always. Acknowledging your blessings maintains a healthy perspective. (34) The longer in life you remain "all about you" the less compatible you become with your peers, and the worse things get. 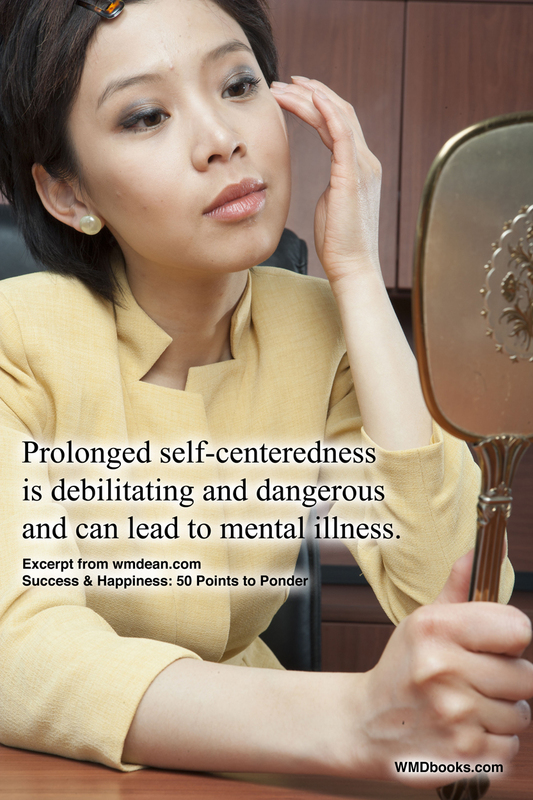 (35) Prolonged self-centeredness is debilitating and dangerous and can lead to mental illness. (36) To be chronically depressed you must be chronically thinking only of yourself. 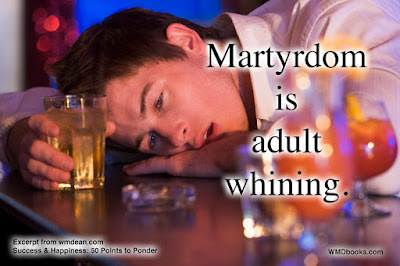 (37) Martyrdom is adult whining. (38) Do not wait for help. 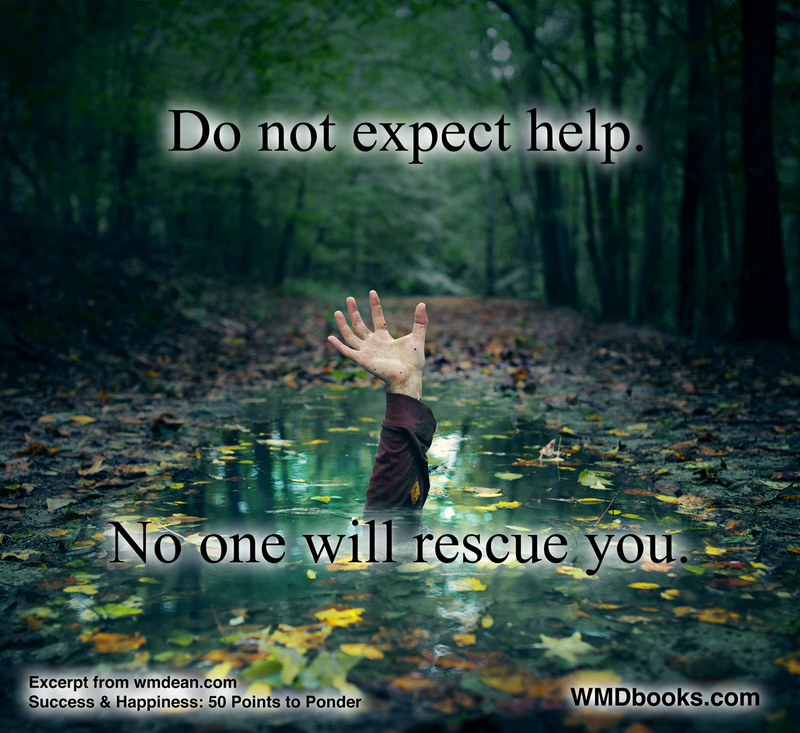 No one will rescue you. 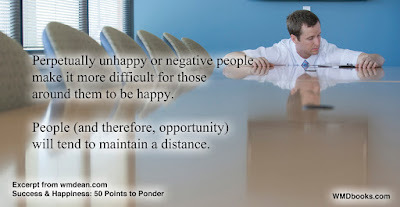 (39) Perpetually unhappy or negative people make it more difficult for those around them to be happy. 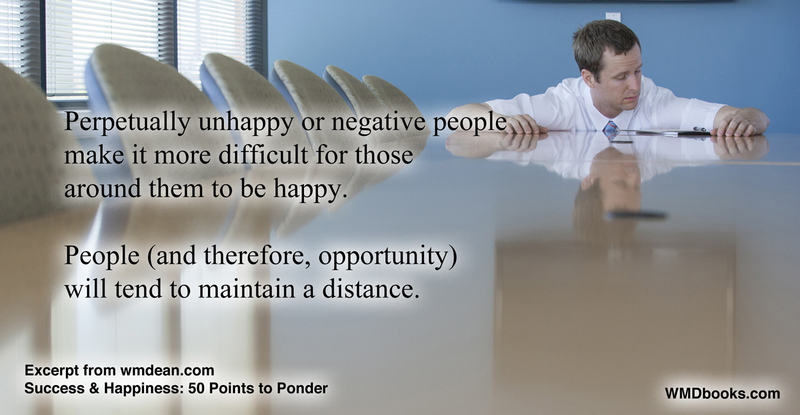 People (and therefore, opportunity) will tend to maintain a distance. (40) If you're banging your head against a rock, it's useless to blame the rock for being hard. Life, society, people are not going to change to accommodate you. 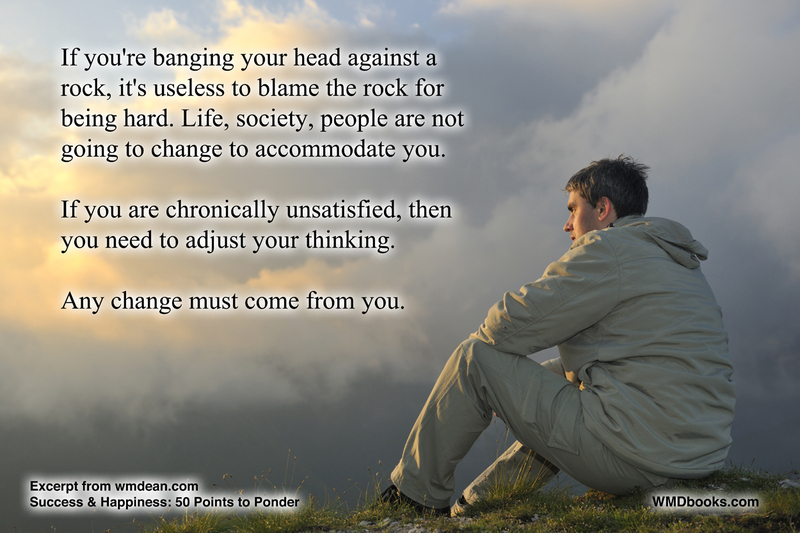 If you are chronically unsatisfied, then you need to adjust your thinking. Any change must come from you. (41) When you look for blame outside yourself, there is no end to the blame. 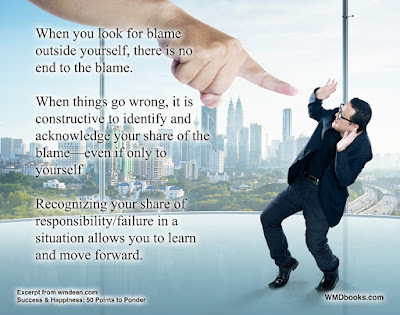 When things go wrong, it is constructive to identify and acknowledge your share of the blame—even if only to yourself. Recognizing your share of responsibility/failure in a situation allows you to learn and move forward. 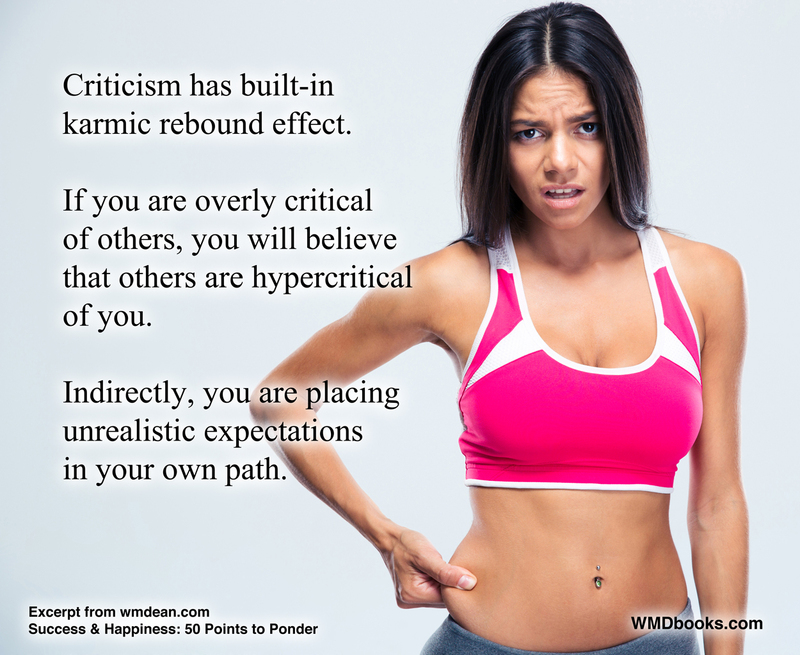 (42) Being critical of others has a built-in karmic rebound effect. 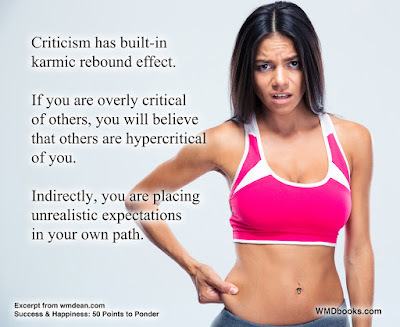 If you are hypercritical of others, you will believe that others are hypercritical of you. Indirectly, you are placing unrealistic expectations in your own path. 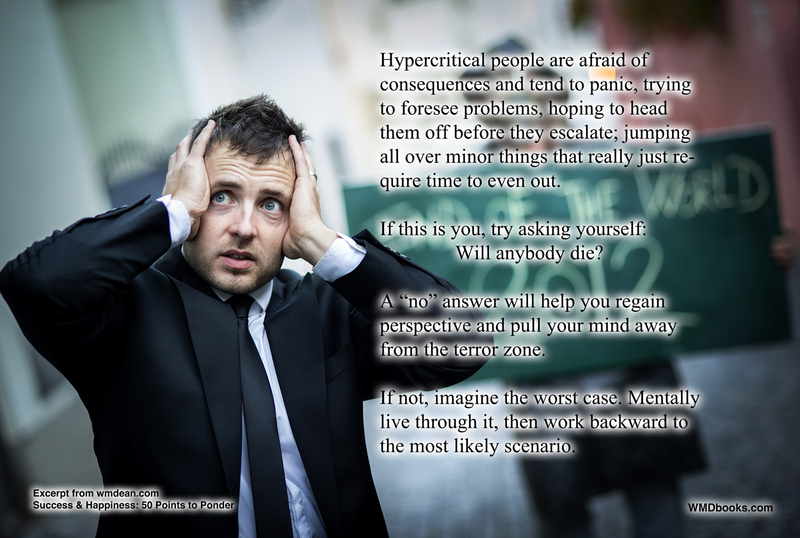 (43) Hypercritical people are afraid of consequences and tend to panic, trying to foresee problems, hoping to head them off before they escalate; jumping all over minor things that really just require time to even out. If this is you, try asking yourself: Will anybody die? 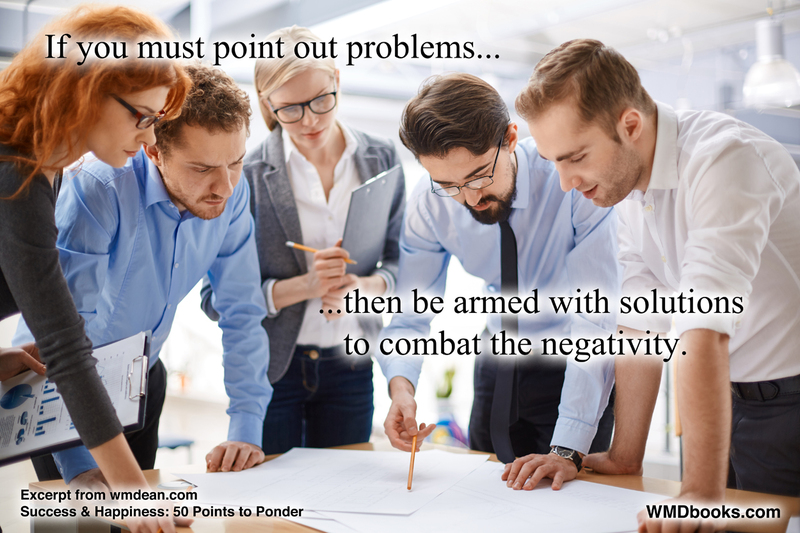 A “no” answer will help you regain perspective and pull your mind away from the terror zone. Now, imagine the worst case. Mentally live through it, then work backward to the most likely case. Once you've envisioned the worst case, the probable reality usually seems much less threatening. 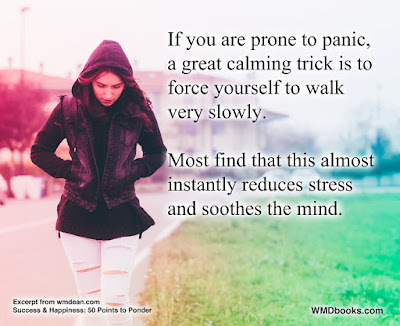 (44) If you are prone to panic, a great calming trick is to force yourself to walk very slowly. Most find that this almost instantly reduces stress and soothes the mind. 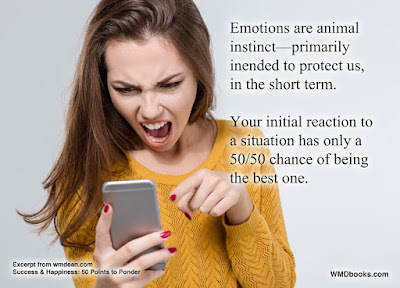 (45) Emotions are animal instinct—primarily intended to protect us, in the short term. Your initial reaction to a situation has only a 50/50 chance of being the best one. (46) Your reaction to an event colors that event for you, as well as for those you encounter. In nature, there is no absolute good or bad, but the reactions of humans around us help define an event as either positive or negative. 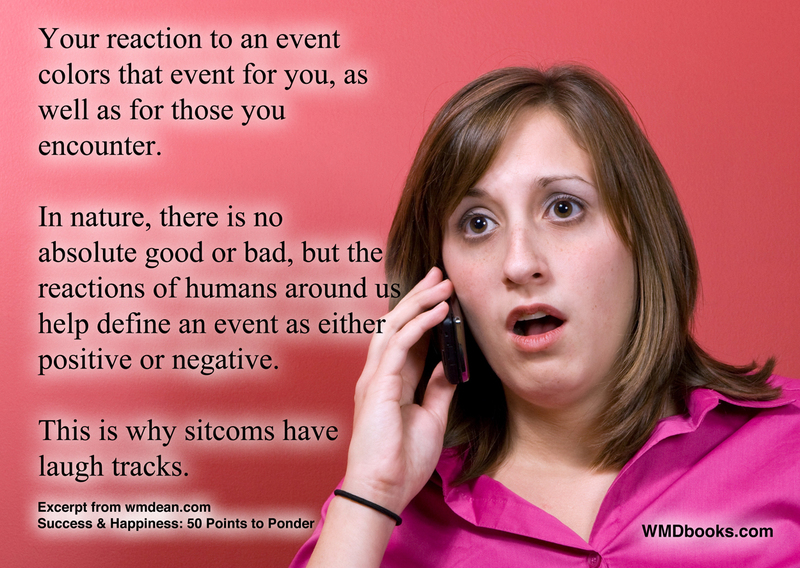 This is why sitcoms have laugh tracks. 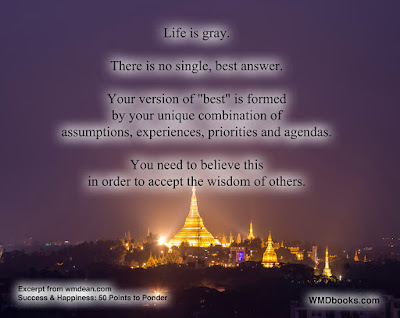 (47) Life is gray. There is no single, best answer. 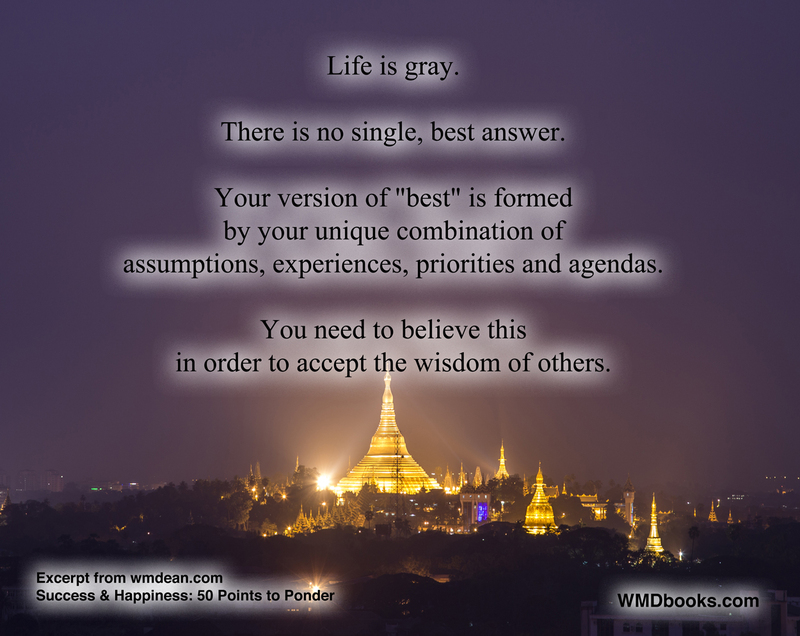 Your version of "best" is formed by your unique combination of assumptions, experiences, priorities and agendas. You need to believe this to accept the wisdom of others. 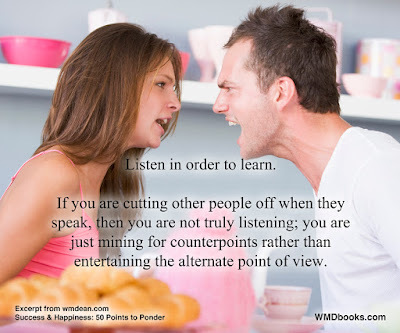 (48) Listen in order to learn. 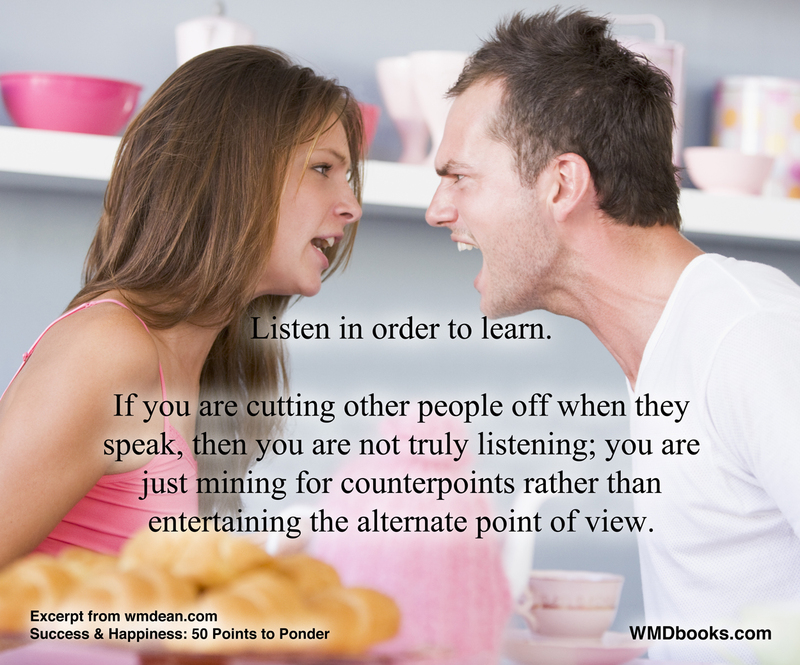 If you are cutting other people off when they speak, then you are not truly listening; you are just mining for counterpoints rather than entertaining the alternate point of view. (49) To strengthen your patience, it's a useful exercise to imagine a person higher up on the philosophical scale than yourself, like Gandhi or the Dalai Lama. Then imagine them having to deal with you. 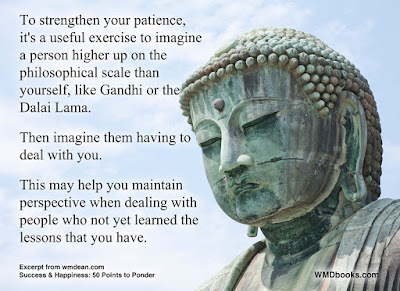 This may help you maintain perspective when dealing with people who not yet learned the lessons that you have.